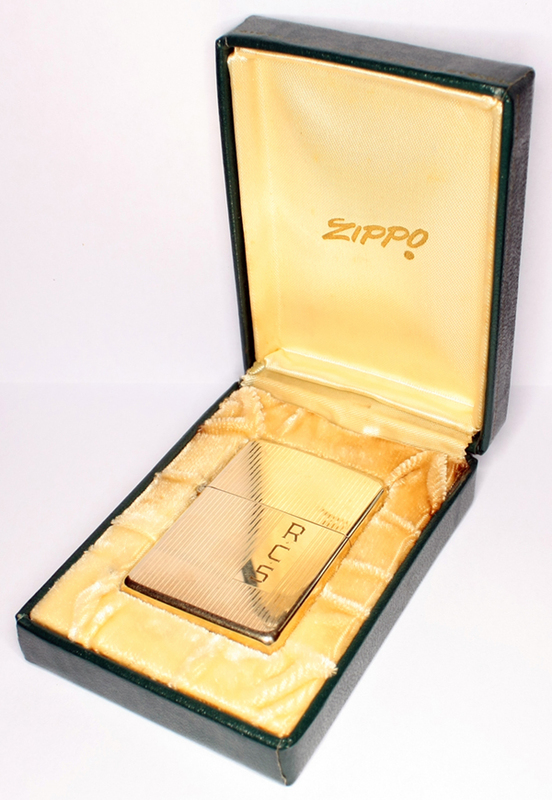 1954 - 1956 engine turned 10k gold filled Zippo lighter in green leatherette box. 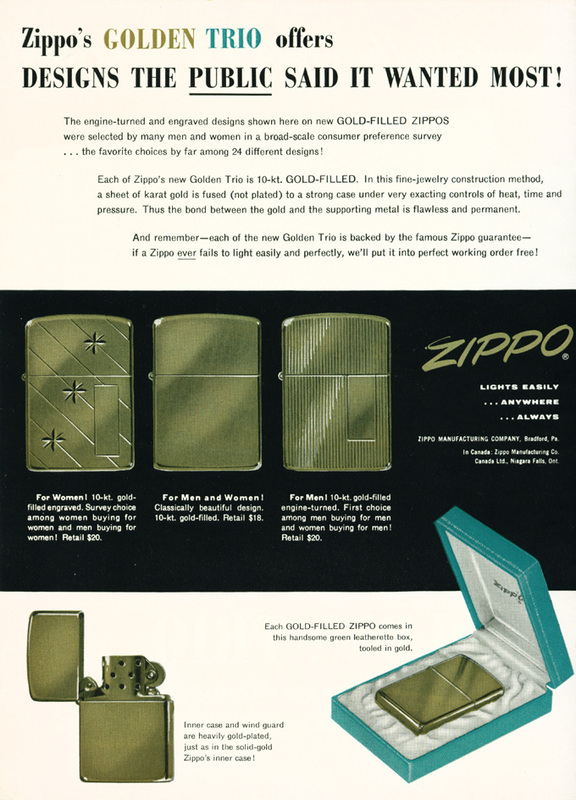 In 1954 the Zippo Manufacturing Company added the 10k gold filled finish to their product line, described as a fine-jewellery method where a sheet of karat gold is fused - not plated - to a strong case under very exacting controls of heat, time and pressure which results in a flawless and permanent bond between the gold and the supporting metal. 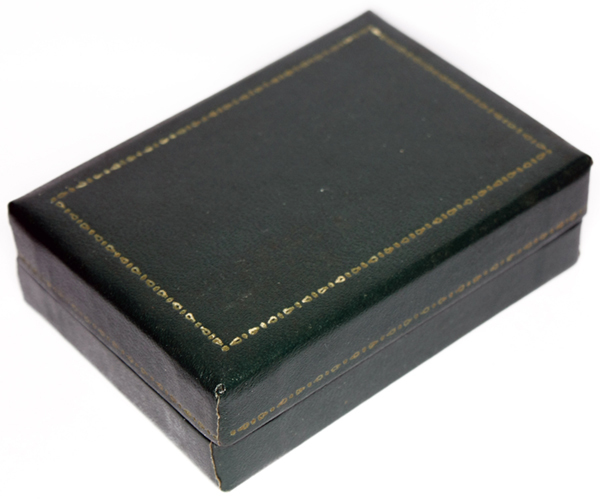 Green leatherette box tooled in gold. 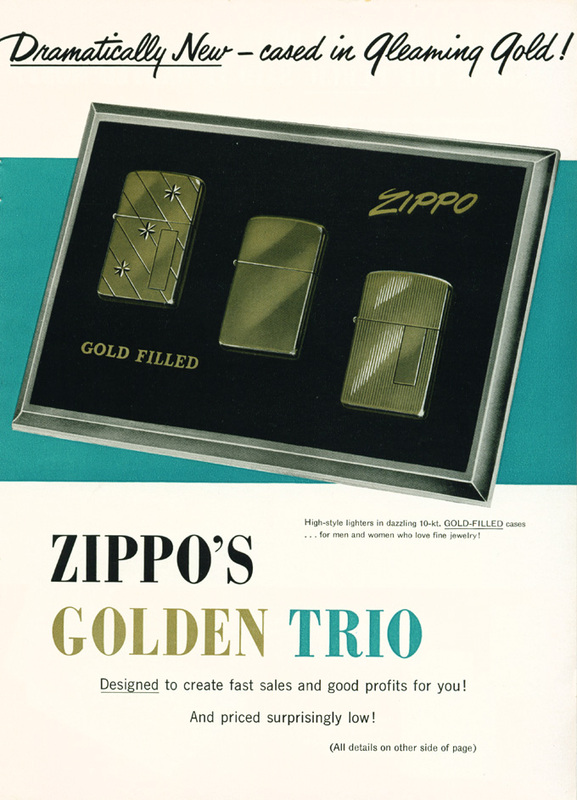 Two-sided 1954 newspaper ad for the new gold-filled Zippo lighters. 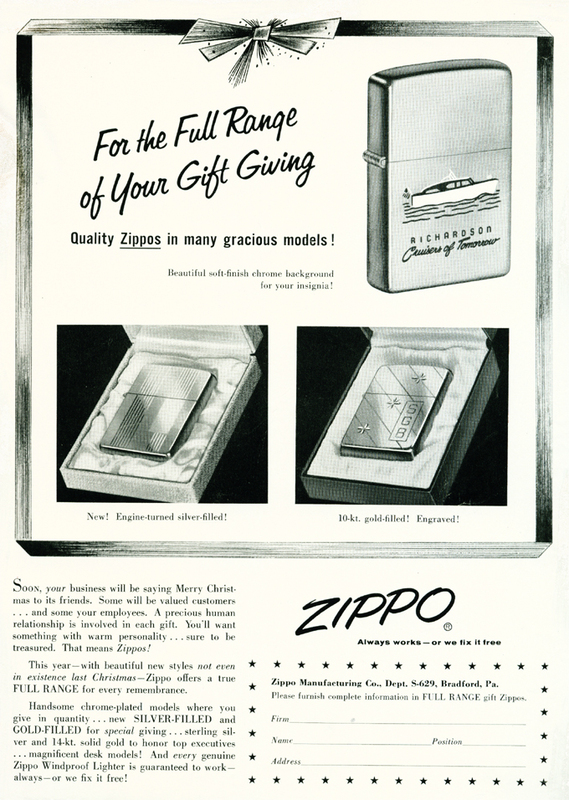 Second page of the two-sided 1954 newspaper ad for the new gold-filled Zippo lighters. 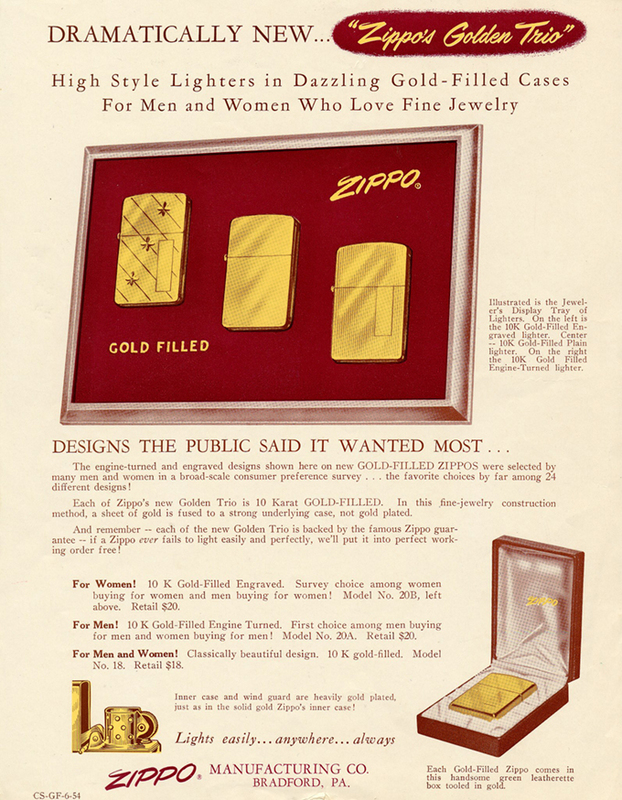 1954 newspaper ad for the new gold-filled Zippo lighters. 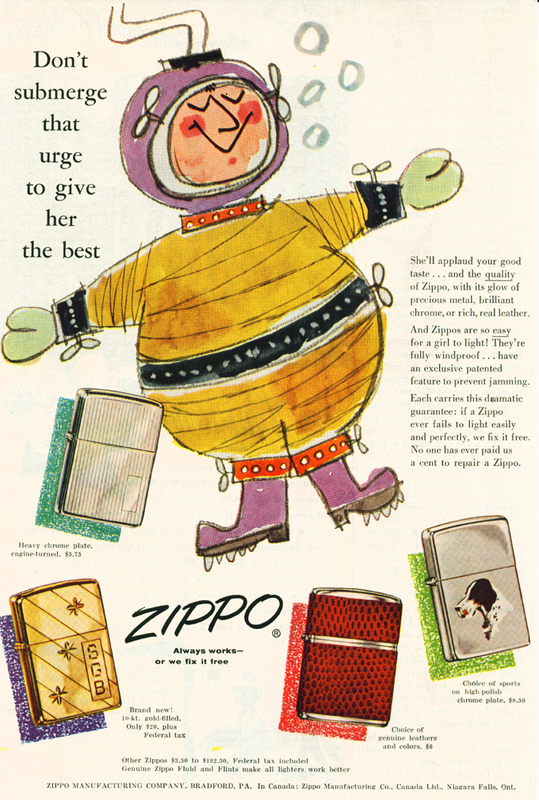 1955 newspaper ad for gold-filled Zippo lighters. 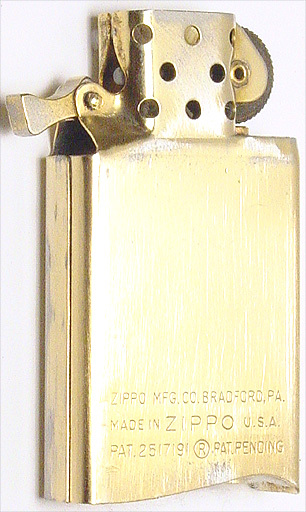 On June 8, 1956 the Slim Zippo lighter was introduced to the product line. 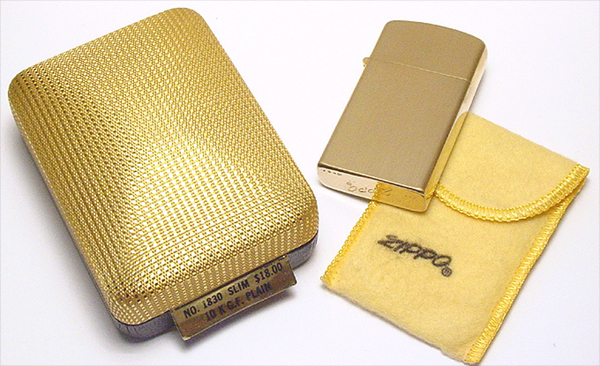 Already within the first year of production of the Slim Zippo these were available in 10k gold filled and silver filled. 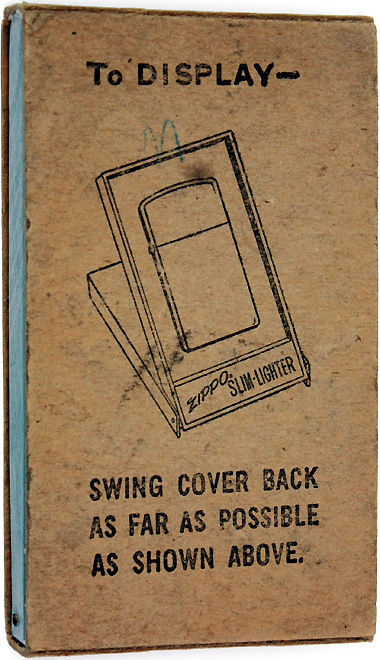 In 1956 the slim models had a metal “cobra head” wheel guard modification located in the chimney behind the flint wheel. 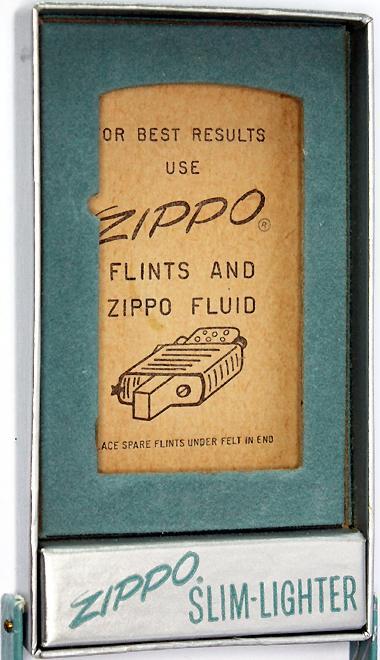 The guard was placed in this position in order to prevent the flint wheel from getting too hot. 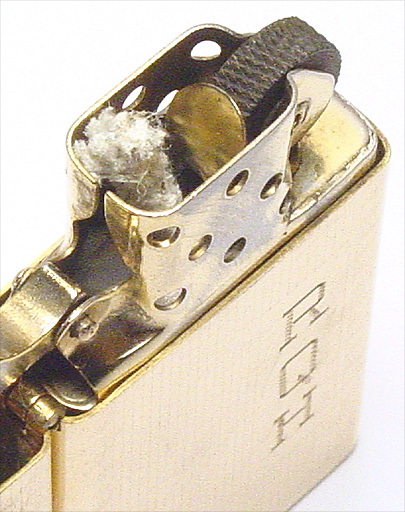 Unfortunately, this piece of metal did not hold up over time and Zippo found that the wheel guard caused problems in lighting the wick. 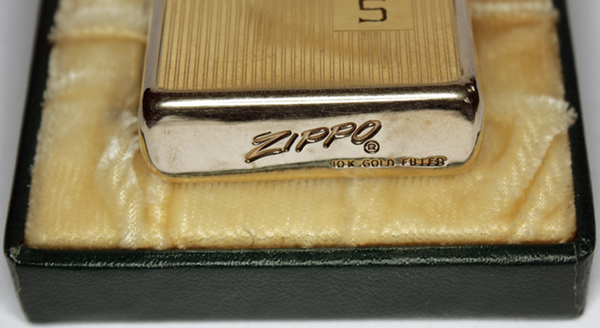 Only one year later Zippo broke off all the wheel guards from its remaining inside unit inventory and moved the wick 1/32 of an inch further away from the wheel. 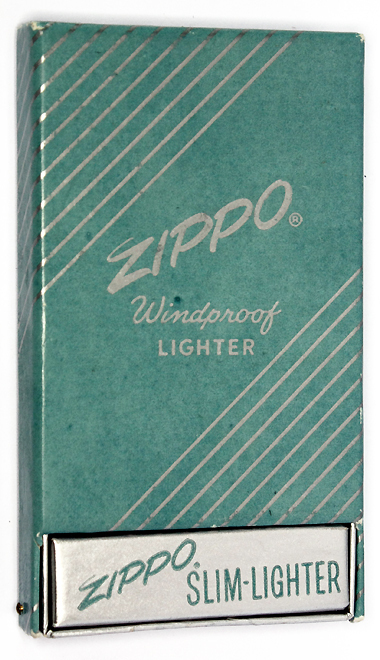 Later in 1957 Zippo produced all slim inserts without guards. with cobra head wheel guard. 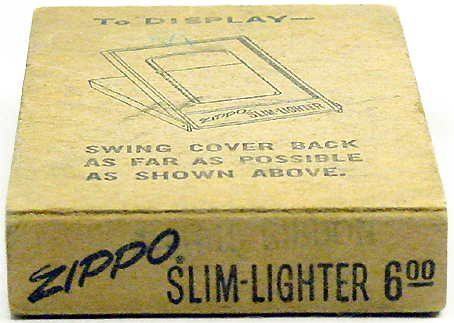 This bottom stamp was used on slims from 1956 to mid 1958. 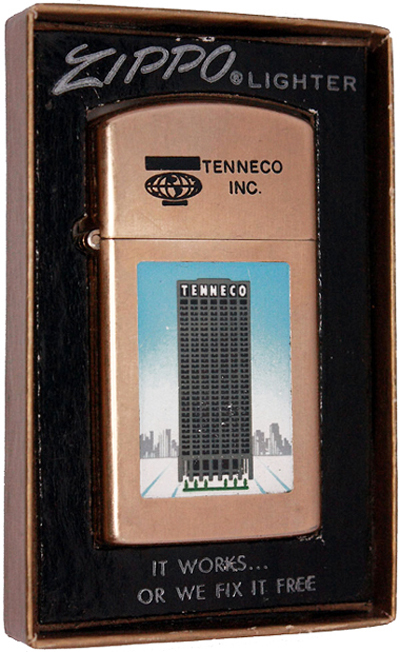 1965 10k gold filled slim Zippo lighter with town & country design for Tenneco Inc. in Houston, Texas. 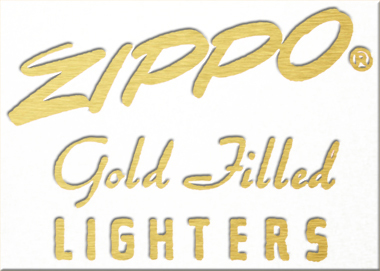 10k gold filled Zippo lighters were only available from 1954 through early 1976 when the electroplated golden elegance series was added to the product line. 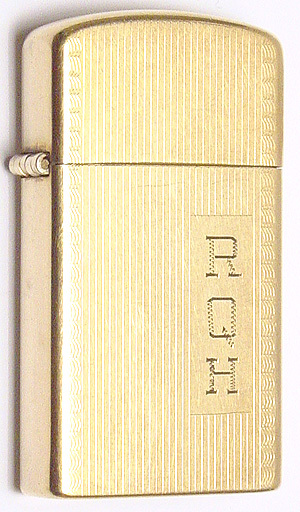 In late 1982 / early 1983 gold plated Zippo lighters were added.